Nox Smart Sleep Light is a smart sleep light. Nox and the Sleepace mobile app work in conjunction, to ease you into the bed and wake you up naturally. 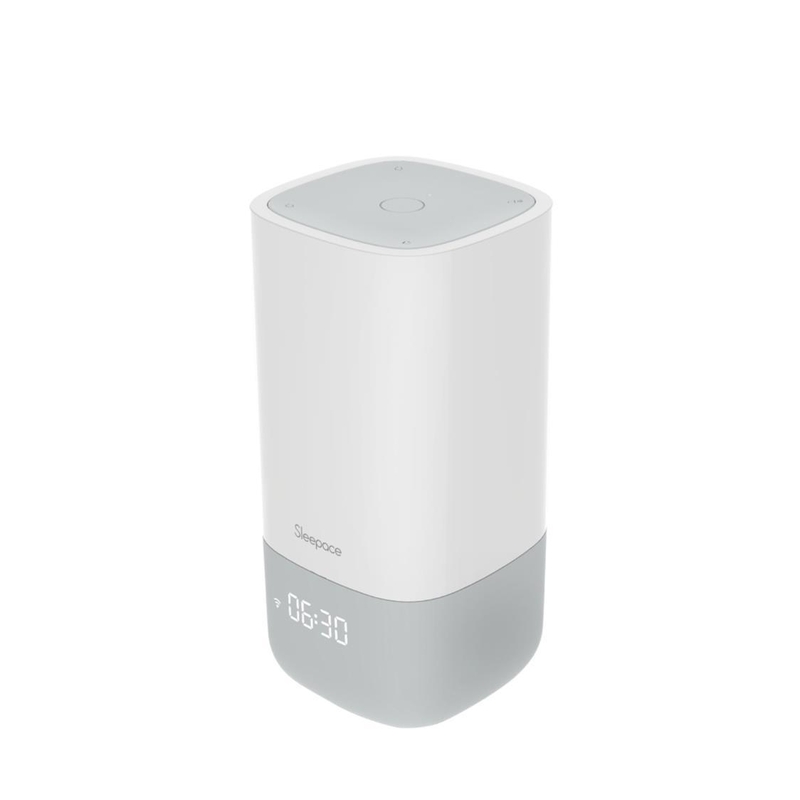 - Nox contains sensors to monitor tempurature, humidity and pick up ambient light and noise in your bedroom. - You can understand how your bedroom environment impacts your sleep and start making chnages to create a better condition for better sleep. - Nox can work as a reading lamp with over 16million LED light colours and LED time display - making sure you are never late for sleep. - Nox contains sensors to monitor temperature, humidity and pick up ambient light and noise in your bedroom. Combined with Sleepace App’s sleep data, you can understand how your bedroom environment impacts your sleep quality. - Red wavelengths, raise the secretion of melatonin. 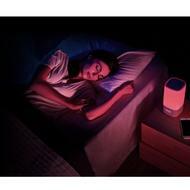 - Gentle soothing music is played to help you fall asleep easily. - Sleepace app will tell Nox to tun off once you fall asleep. - Being awoken from light sleep leaves you feeling more refreshed. 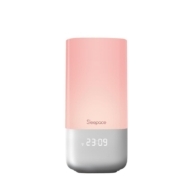 - Sleepace App will let Nox know when you are at the lightest part of your sleep and Nox will wake you up at the time you set with gentle music and simulated sunrise function.